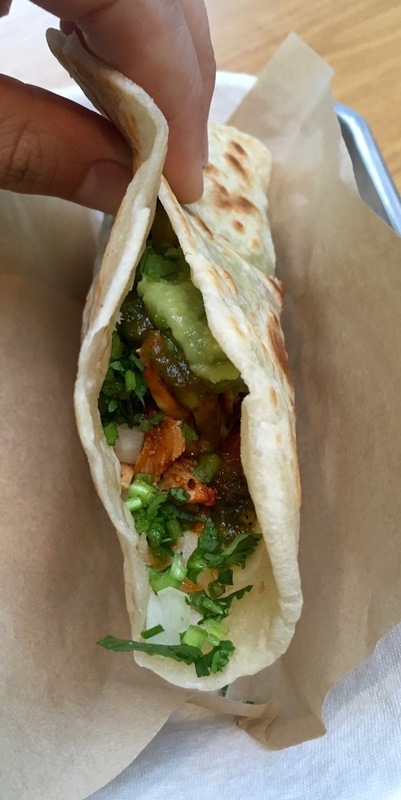 THE UNEMPLOYED EATER: What You Should Be Eating Right Now: Tacos from Loqui in Culver City. 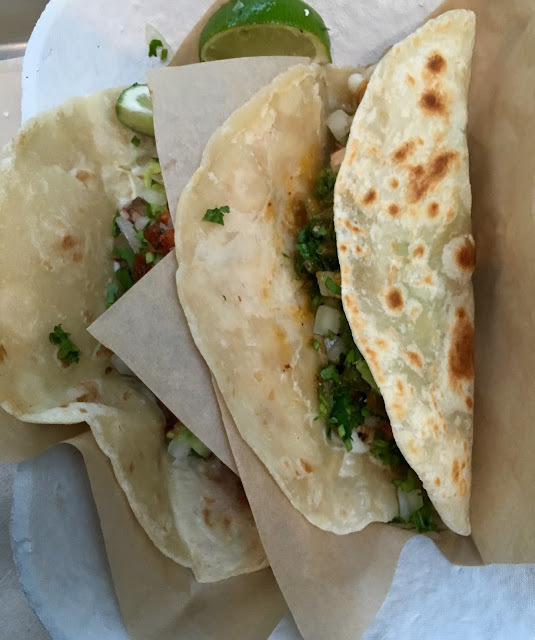 What You Should Be Eating Right Now: Tacos from Loqui in Culver City. What: Chicken and Carne Asada Tacos. Why: They are really freaking good. While not exactly bargain-basement ($5.50 a taco), the newly opened Loqui in Culver City's hipper than thou Platform complex will most certainly have lines out the door within weeks. Part location (even at that the hefty per-taco-tag it's the thrifiest meal in the new center), part supreme quality, it's the fancified taco spot the westside has been begging for. So what makes the tacos so good? It starts with the Northern mainland Mexican/Sonoran-inspired flour tortillas, which are made from scratch in house and rolled by hand. The large blankets of heaven possess the heft and chew one expects from a superior flour tortilla, yet lacks the gumminess that plagues some of its top LA counterparts. With such a strong outer base you could probably throw coal in their friendly confines and still please, but 1) who the heck throws coal in tacos?, 2) Loqui doesn't throw coal in their tacos. They throw golden nuggets. My favorite: the chicken. Marinated in a guajillo chili-based sauce and then grilled over a mesquite and oak-stoked flame, the meat evokes a pleasant smoky, spicy flavor. Add a little guac, housemade salsa, pinto beans, diced onions, cilantro and melted cheese and you got yourself a Loqui taco. Significantly larger than your traditional local taco, two makes a meal, so at $11, that's rather fair. The carne asada is also a standout. I am doing this to push the significance of this essential expertise. It is one of the objectives for recuperation from a dietary problem: to end up plainly a Normal Eater.